I don’t mind that the additional tax on tobacco will take a packet of cigarettes past $25, after all smoking imposes a cost on society. However the reverse is true when people save their money, which is why taxing bank accounts would have to be one of the more bizarre concepts thought up – placing an additional tax on something which should be rewarded. The new tax, ostensibly called a levy on banks to pay for insurance on deposits, is only set at 0.05%, and for for accounts with less than $250,000. With the average term deposit rate at 3.75%, you can therefore expect the average to drop to 3.70%. Despite the tax only being 0.05%, once a tax is implemented the temptation, and ability, to increase it is ever present. 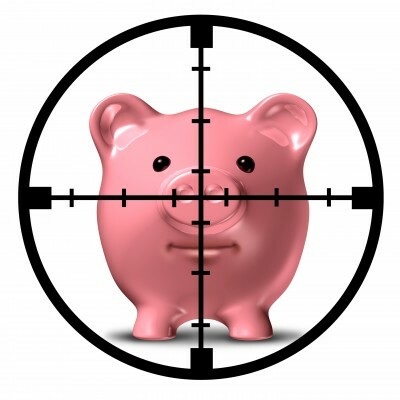 It is expected to rip $733 million from taxpayers accounts, however the ATO’s March 2013 research into self managed super funds show SMSF’s alone have $137,787 million in cash and term deposits, and 0.05% of this equates to just under $698 million. I suspect this new tax will bring in far more than $733 million. Whilst it’s hard to get too concerned about banks, do spare a thought on how they are expected to implement this – one week you have $200,000 in your account, the next day $100,000 before a deposit the following week takes the amount up to $600,000. Daily calculations will have to be performed on every bank account in Australia, and for transaction accounts which often pay 0.1% the bank will have to bear the full cost of the tax as they can’t offer negative earnings on transaction accounts can they? This is going to be a costly exercise for banks.